You’ve heard about the benefits of healthy fats like monounsaturated fatty acids and Omega 3s. Now, many people are catching on to the numerous benefits of conjugated linoleic acid, or CLA. 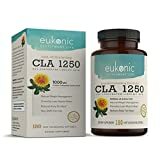 What is the Recommended Dosage of CLA? CLA is a type of fatty acid which is most commonly found in beef and dairy. Our bodies can also produce it from linoleic acid found in some types of vegetable oils. Unlike certain types of fat which can increase inflammation and clog arteries, CLA is linked to numerous health benefits. 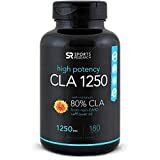 Lately there has been a huge surge in people taking CLA supplements as a way to improve their health. It is particularly popular for weight loss as well as muscle toning. No supplement is a “magic bullet” which will solve all of your problems. However, the research on CLA does back up all of its benefits. The main way that CLA benefits weight loss is by increasing basal metabolism (how much energy the body burns while at rest). When your cells are using energy efficiently, then you burn more calories and put on less weight. When you reach an energy deficiency, CLA helps the body burn fat for fuel instead of going for muscle. Studies have shown that CLA is particularly good for reducing belly fat, which is crucial for those at risk of cardiovascular disease. Some studies have found that CLA also increases fullness and reduces hunger. These studies didn’t show weight loss, but it goes to reason that eating less will help you lose weight. CLA is a very popular supplement with weight lighters and gym buffs. 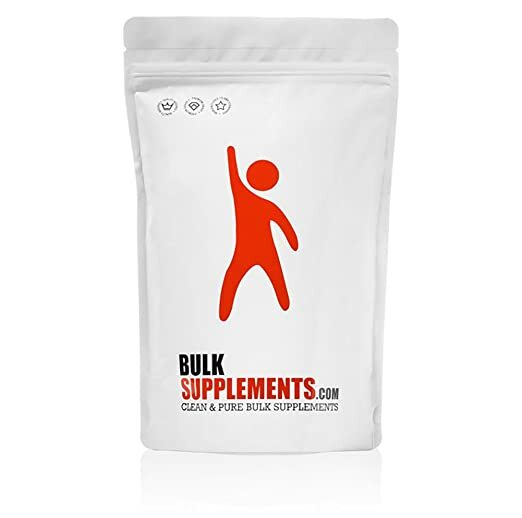 Various studies have shown that simply supplementing with CLA can increase muscle body mass. Note that the studies into CLA for muscle growth used large dosages, such as 6 grams or more per day. On novice bodybuilders, CLA seems to get better results. Experienced bodybuilders don’t see as much results, potentially because their bodies already have a high ratio of muscle to fat. Very few people take inflammation seriously. However, we now know that inflammation is the root cause of a huge variety of diseases and disorders. These include heart disease, asthma, heartburn, depression, arthritis, Crohn’s disease, and high cholesterol (to name just a few). Many studies have shown how potent CLA is as an anti-inflammatory agent. The high CLA content is also why the paleo diet community touts the benefits of of grass-fed beef and dairy. Unless you are eating a lot of grass-fed meat and dairy, you may need to supplement with conjugated linoleic acid. Not all CLA supplements are made equally though. When choosing a CLA supplement, look for these features. CLA is a fatty acid. Fats react to oxygen very quickly. The chemical reaction which occurs changes the molecules in the fat. As you might have heard is the case with oils heated to high temperatures, oxidized oil turns rancid and toxic. Why is this important? 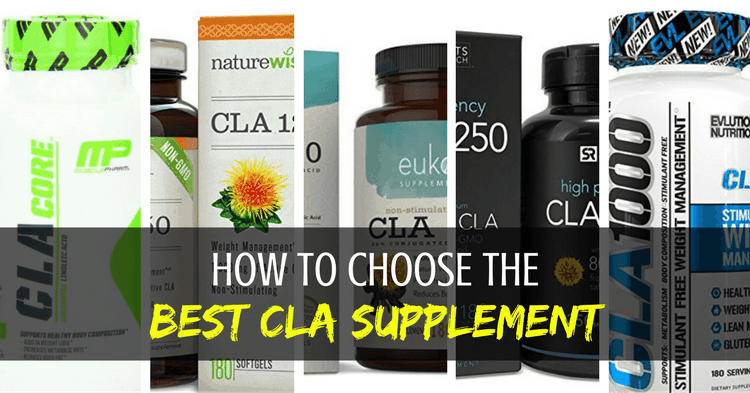 Because many CLA supplements contain oils which have oxidized. The oil is packed in sub-quality capsules which allow air to leak into the product. Sometimes the manufacturing process might leak air into the oil (and I wouldn’t be surprised if heat was oxidizing the product too). Taking rancid oil is risky. Instead of getting benefits, the oxidized CLA in rancid supplements could increase your risk of heart disease and blood clots. Almost all CLA supplements are made from safflower oil. There may be some high-quality supplements derived from beef, but I haven’t heard of them. These animal-based oils would be a lot more expensive to extract and formulate. 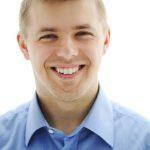 A Note on Propriety Blends: Many supplement manufacturers use propriety blends. This means they give the total amount of all the ingredients in the formula. With a propriety blend, you won’t know exactly how much CLA you are getting. Not all propriety blends are bad. Some supplements do a good job of adding other superfoods to the blend. However, because they don’t list exact amounts of each ingredient, they are free to change the formula at will. You never really know what you are getting with propriety blends and whether it is a good value. Pay particular attention to the amount of CLA in the supplement. Don’t get confused with the total amount of ingredients. 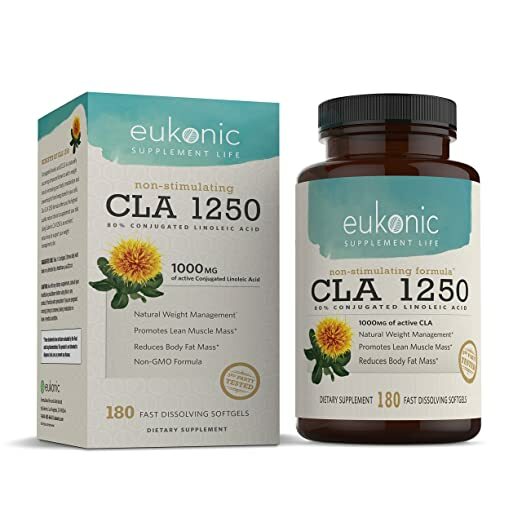 For example, some of the best CLA supplements above contain 1250mg of ingredients. Of this, 80% is guaranteed to be CLA. Thus, you are getting a dosage of 1000mg of CLA. Depending on how you want to take your CLA supplement, you might want to look at the total CLA per capsule. For example, a 1000mg CLA supplement might have a dosage size of 3 capsules. That means each capsule only contains about 333mg. It is annoying to have to take 3 capsules at once. But, if you are spacing out your CLA dosage throughout the day, it is better to have 3 capsules per dosage than one big capsule. 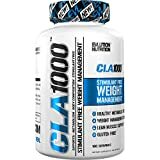 Best For: People looking for a cheap CLA supplement made in the USA. Evlution Nutrition makes a very affordable CLA supplement. It isn’t the highest quality CLA you’ll find, but it is still made in the USA with good quality control testing. For those just getting started with CLA and not yet willing to invest in a pricy product without seeing results, it is worth considering. Best For: People with inflammation disorders who can also benefit from vitamin E.
As the name implies, Bulk Supplements aims for affordability. They offer this supplement in two sizes: 100 soft gels and 300 soft gels. Note that it isn’t as cheap as it seems because the serving size is 2 capsules. Thus, the 300-capsule bottle will last you 150 days. I personally like it with there are multiple capsules per serving, as it makes it easier to space out the dosage. I also like that this formula includes vitamin E. At 4mcg, it meets 13% of your vitamin E RDA. Vitamin E helps reduce inflammation and also gives you awesome looking skin and hair. Best For: People who want a serious CLA supplement that will get results. 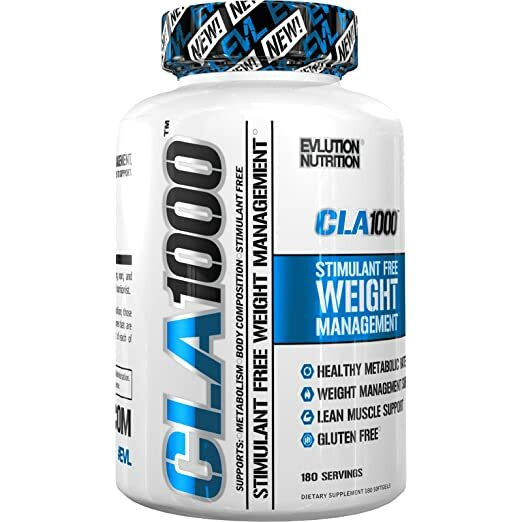 Here is one of the best CLA supplements you will find that also doesn’t cost a fortune. It has virtually all of the features you’d want in a CLA supplement. It’s made by a reputable company using pure safflower oil from non-GMO sources. It is worth noting that the safflower oil is guaranteed to have a minimum of 80% CLA, giving you a total of 1000mg per capsule. Considering the quality of this product, it is still very affordable. Even if you don’t like it, there isn’t much risk because the supplement comes with a money back guarantee. 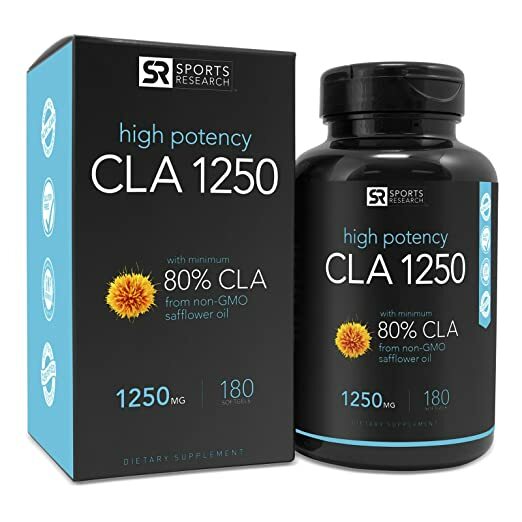 Best For: Vegans and vegetarians who want to supplement with quality CLA. Sports Research is one of the top supplements companies when it comes to quality. They are one of the few manufacturers who make grass-fed supplements and are particularly well known for their oils. The manufacturing process helps ensure that you don’t get a rancid product. Yes, you will have to pay more for this level of CLA quality. However, the CLA supplement is packaged as a 180 dosage count. Thus, the per-pill price isn’t as pricy as it seems. Best For: People who have trouble swallowing large pills. 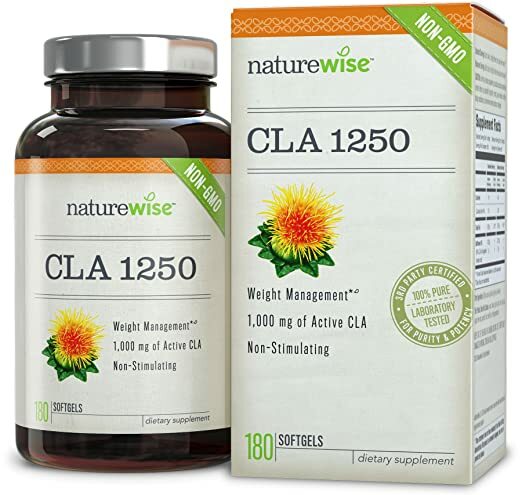 NatureWise makes the list of best CLA supplements because of its guaranteed potency delivering 1000mg of CLA per dosage. As with all supplements, pay attention to the serving size. NatureWise has 3 capsules per serving. So, the 90-count bottle will only last you a month. Having multiple capsules per serving is actually a benefit if you are trying to space the dosage out throughout the day (which is ideal). If you take CLA as one large dose, then it will be annoying to take 3 pills. While the CLA seems to be very high quality, note that the product isn’t necessarily made in the USA. The package only says that it is bottled in the USA. We can’t guarantee that this CLA isn’t from China. Best For: Fans of MusclePharm supplements. MusclePharm is a very popular brand of supplements for bodybuilders. They generally have quality products, even if they aren’t guaranteed to be made or packaged in the USA. If only the MusclePharm CLA supplement didn’t have a propriety blend we would like it a lot more. There’s no way to be sure exactly how much CLA you are getting in from the 1000mg of oil. Assuming that it is a high-potency oil, you might be getting 700mg of CLA – but you could be getting a lot less per capsule. That’s the annoying thing about propriety blends! Despite the propriety blend, MusclePharm has a lot of positive reviews and can’t be ignored from a list of best CLA supplements. As a fatty acid, you’ll find CLA in certain fatty products. So, if you buy lean cuts of meat or low-fat milk, you are not going to be getting as much CLA. Unfortunately, modern factory farming practices have reduced the amount of CLA found naturally in foods. For example, this review found that grass-fed beef has a much more favorable lipid (fat) profile than grain-fed beef. If you are still eating conventional meat and dairy, it is time to switch over to grass-fed. Yes, grass-fed costs more – but your health will thank you for it! Remember that these are CLA amounts per gram of total fat. For example, a glass of grass-fed raw milk has about 9 grams of total fat. At up to 30mg of CLA per fat gram, that comes out to 270mg of CLA per glass of milk. You’d have to drink nearly 4 glasses of milk to get 1 gram of CLA. Even though vegetarians and vegans tend to have better levels of Omega 3 fatty acids, they can easily fall behind on their intake of CLA. This is especially true of vegans as dairy products are one of the main sources of CLA. Safflower oil is considered the best plant-based source of CLA. Just be warned that cooking with safflower oil can cause fatty acids to oxidize, thus losing their benefits. You want a pure, high-quality cold-pressed safflower to get CLA. The FDA has not set a specific RDA of conjugated linoleic acid. Instead, we have to go by what dosage amounts have shown effective in studies. Here’s the problem with RDAs for CLA: Studies use vastly different dosages, and achieve different results. For example, one study found that 3.4 grams of CLA per day helped reduce body fat. Other studies have found that dosages of up to 8 grams only produced modest benefits. Still, other studies have shown that taking large dosages of CLA doesn’t produce better results than smaller dosages. Most experts put the recommended daily dosage of CLA at 3 to 4 milligrams daily. 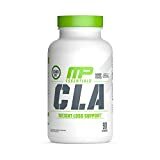 If you are already getting CLA from your diet, then you don’t necessarily need to supplement with 4mg daily. Hence why most of the best CLA supplements have CLA amounts of 1mg per dose. Ideally, you should take CLA three times per day, right before or during meals. 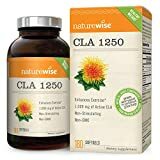 If you aren’t able to take CLA 3x per day, then take it before or during breakfast. Try to include some natural sources of CLA in your lunches and dinners so you have a continuous supply of CLA in your body. To avoid risk of side effects, start with a small dose of CLA and then gradually increase to a larger dosage (if necessary). You can also take CLA with a protein in order to reduce GI side effects. A protein shake is a good choice. In very large dosages, CLA may produce some more serious side effects. There is some evidence that extremely high dosages of CLA can cause fat to accumulate in the liver or even trigger inflammation (ironic as CLA is often used to treat inflammation). These side effects aren’t likely, but still don’t take giant dosages of CLA! Bleeding Disorders: CLA can hinder blood clotting and thus could potentially cause problems for people with bleeding disorders. Diabetes: Even though CLA can help diabetes by improving insulin sensitivity, it could potentially worsen diabetes in some patients. Check with your doc! Surgery: If you will have surgery soon, don’t take CLA without doctor’s permission. The CLA might slow blood clotting.